The Responder Safety Learning Network, developed by Stonehouse Media on its proprietary platform for the Emergency Responder Safety Institute of the Cumberland Valley Volunteer Firemen’s Association, offers more than 30 modules in traffic incident management (TIM) to help responders operate safely on the roadway. Stonehouse Media created a multi-program certificate where completion of ten key programs earns the user a special certificate that is equivalent to the National TIM Training from the Federal Highway Administration. 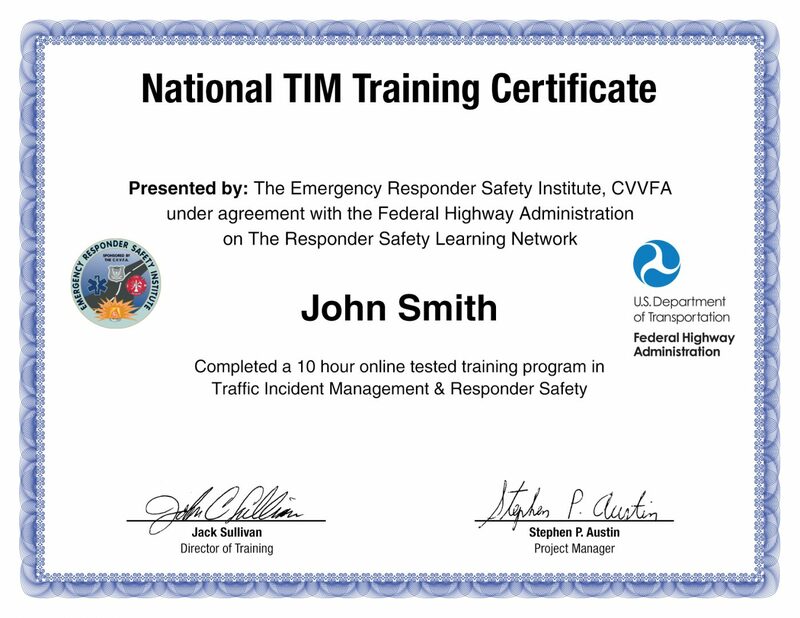 Earning this certificate demonstrates that the responder has been trained in the basics of traffic incident management and roadway operations safety practices. To date, over 8700 first responders have earned the certificate.